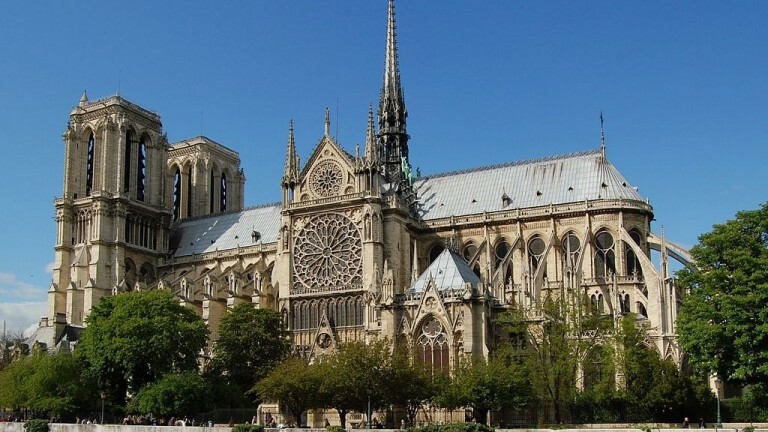 Rabat – Three of the wealthiest families in France have pledged to help rebuild the Notre-Dame Cathedral that was partially destroyed in a fire Monday. The owners of three international luxury product groups, LVMH Group, Kering Group, and L’Oreal Group have promised a joint €500 million. Both LVMH Group CEO Bernard Arnault and the Bettencourt Meyers family, which owns a 33% stake in L’Oreal Group, have pledged €200 million. The Kering Group CEO and Chairman, Francois-Henri Pinault, has promised €100 million. Other French companies have also pledged to donate. The oil and gas company Total has promised €100 million while tech and consulting firm Capgemini will donate €1 million. Including other donations from French companies, the total amount pledged reached €700 million. Rebuilding Notre-Dame will likely cost billions of euros and take years. LVMH Group is a conglomerate that owns luxury goods brands including Louis Vuitton, Christian Dior, and Givenchy. According to the Bloomberg Billionaires Index, LVMH CEO Arnault is the third richest man in the world. His net worth is estimated at $90.4 billion. L’Oreal Group controls makeup brands, including Maybelline, Lancome, Garnier, and Kiehl’s. Francoise Bettencourt Meyers, who inherited her mother’s share in the L’Oreal Group, is the world’s wealthiest female billionaire by net worth. Her net worth is estimated at $53.5 million, according to Bloomberg. The Pinault family’s wealth is estimated at $37.3 billion. Francois-Henri Pinault is married to actress Salma Hayek. Next articleIs 2019 a New Arab Spring, and Will It Succeed This Time?